The FT has published a survey of 94 economists on a range of issues. Unsurprisingly, the majority believe house prices in the UK are still too high. Leaving aside the abstract discussions of whether the concept of prices being ‘too high’ is valid, I thought it would be interesting to see if there was a simple way of extracting some findings from the results. Helpfully, the FT has published a full transcript of answers. 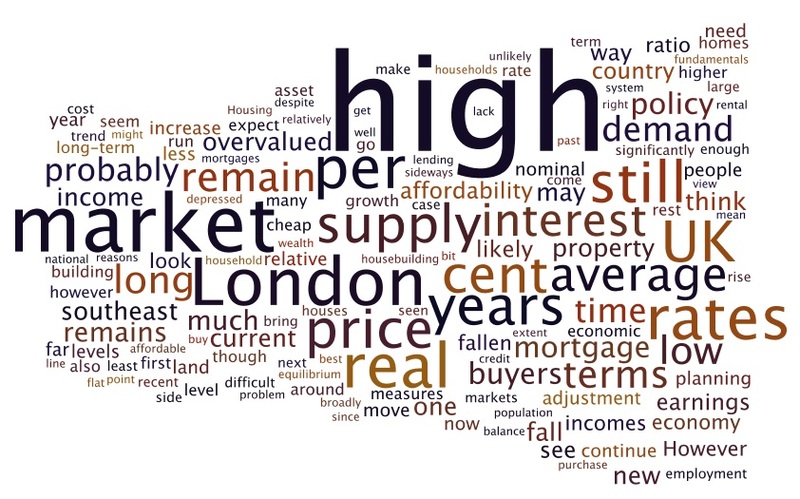 The obvious way to simple insights seemed to be creating a word cloud (see below). A cursory glance shows that words high, London and supply seem to be the central themes. So, an interesting survey, but nothing new.